Top Ten Provence Souvenirs – how many of these items did you buy? We spent the day in the mountains, in Abondance and Châtel. 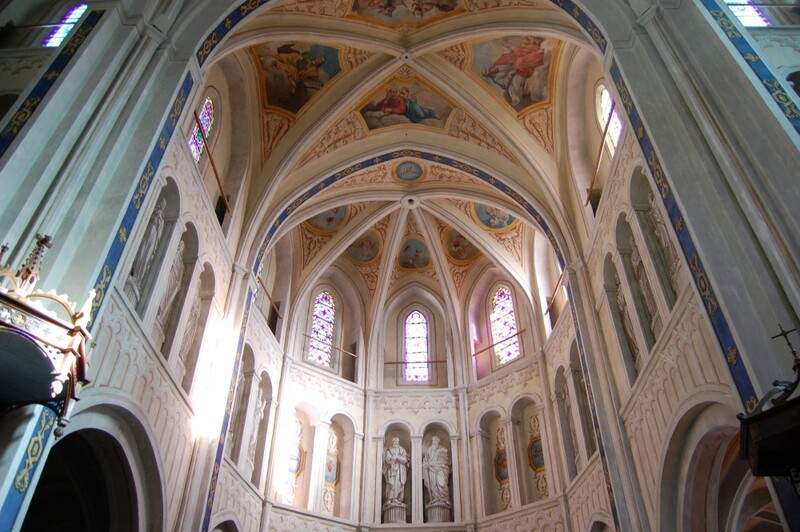 The Abbey in Abondance is beautiful. The sun shining through the stained glass windows made for colourful shadows around the church. Ok, so I am easily amused.